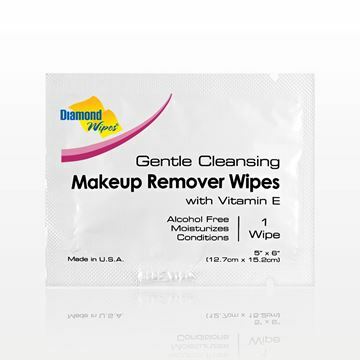 Quickly and gently remove nail polish from natural nails using these lint-free acetone nail polish remover pads which are infused with Aloe Vera to moisturize and condition. Each pad is individually wrapped for your convenience. Directions: Open packet. Press pad down firmly over nail polish for a few seconds. Rub off nail polish. Do not flush. Caution: Flammable, keep away from fire or flame. 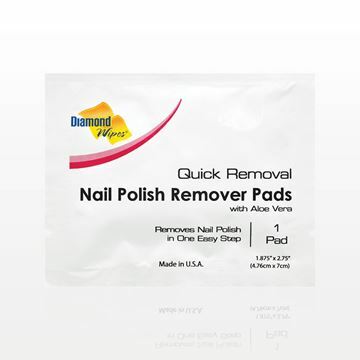 Do not use on artificial nails. Keep out of reach of children. For external use only. In case of eye contact, flush thoroughly with water. Do not use when smoking.